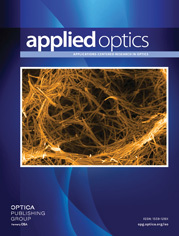 The authors are with the Centre d’Optique, Photonique et Laser, Départment de Physique, Université Laval, Québec G1K 7P4, Canada. The parameters of several stratified volume holographic gratings are optimized in order to obtain high diffraction efficiency beam spliters. Two-, three-, five-, seven-, and nine-beam fan-outs are theoretically studied and compared with what has been achieved by other means. With a simple optical setup, a fan-out element that generates seven beams of equal intensity is experimentally realized and a comparison with theory is made.